In Norse mythology, the Valkyries are depicted as young and beautiful, but very strong and fierce women ; they are the daughters of the god, Odin and are often called Odin's maidens. The Valkyrie, as the legend goes, were known to fly their horses over the fields of every battle to choose the souls of the heroic dead at their father's command, and any maiden who becomes a Valkyrie is to remain immortal for as long as they obey the Gods and remain virginal. The most famous of the Valkyries was Brynhild who, in the "Volsunga Saga" was their leader and Odin's favorite, but, we find that Brynhild is very strong-willed woman who has a mind of her own, and it isn't long before she disobeys her father by making her own decision as to who is to live and who is to die. Odin then punishes her by putting her into a deep, magical sleep, and she is surrounded by a ring of fire... only a hero who is brave enough to tackle the flames will have the power to awaken her. 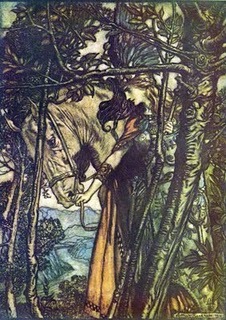 Gudrun the dragon slayer tries, but he cannot break through the fire, so it is Sigurd, the ring bearer, who eventually rescues her by shapeshifting himself to look like Gudrun; the two fall madly in love, but Gudrun, who wants Brynhild for himself will have none of it. He comes up with a scheme to have Sigurd murdered while he sleeps in his bed. Brynhild then wills herself to die and builds a funeral pyre for Sigurd; she destroys herself on the pyre. In myth, we often find women competing with men as well as with other women, and we find a variety of the myth of Brynhild in many different cultures. Brynhild demanded that a man must show himself to be stronger than she before she would agree to be his mate which Sigurd does both intellectually and physically. A strong woman does not hold herself back in the competition nor does she fix the game so that the man can win. In this way, Brynhild acted in a much more honest way than many of the women in today's world who think they have to hide their true strength in order to get a partner. Strength is not something that is unfeminine. In fact, it is a part of a woman's being. Some of us are emotionally strong, others intellectually, and some physically, but to pretend that we are less than we are is to insult the Universe which has endowed us with these gifts. And in myth, haven you noticed that we always find the woman who shows her strength is the one who finally gets the man who matches it?...but, had Brynhild hidden that strength and pretended herself a weakling, she would have opened up an awareness of her partner's true weakness in comparison to hers. And that, ultimately, would have destroyed their bond. A jengu (plural miengu) is a water spirit and deity in the traditional beliefs of the Sawa ethnic groups of Cameroon, particularly the Duala, Bakweri, and related Sawa peoples. Among the Bakweri, the name is liengu (plural maengu). 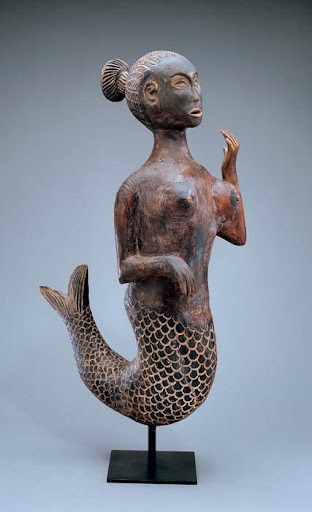 They are similar to West African Mami Wata figures, though belief in miengu likely predates most Mami Wata traditions. The miengu's appearance differs from people to people, but they are typically said to be beautiful, mermaid-like figures with long, wooly hair and gap-toothed smiles. They live in rivers and the sea and bring good fortune to those who worship them. 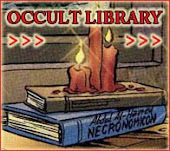 They can also cure disease and act as intermediaries between worshippers and the world of spirits. For this reason, a jengu cult has long enjoyed popularity among the Duala peoples. Among the Bakweri, this cult is also an important part of a young girl's rite of passage into adulthood. IPET is an Egyptian Goddess of birth. Her name means "favoured place", and she was depicted as a combination of human, hippopotamus, lion, and crocodile--she had the body of a hippopotamus, the feet of a lion, human arms with lion paws, large human breasts and a pregnant belly, and the back and tail of a crocodile. This combination of attributes shows both her protective and nourishing aspects. One of her epithets is MISTRESS OF MAGICAL PROTECTION. SEDNA is the Inuit Goddess of the sea and sea creatures. She is the daughter of Anguta, the creator-god. As a maiden, Sedna was tricked into marrying a seabird who promised to take her away from her lonely life with her father. The bird's "palace" turned out to be a dirty nest and he treated her like a slave. When Sedna's father came to rescue her in his boat, the bird and his flock caused a great storm on the sea. To appease the birds, Anguta threw Sedna overboard. She tried to climb back into the boat, but her father chopped off her fingers. She tried again, and he cut off her hands. As Sedna descended to the bottom of the sea, where she rules over the underworld, her dismembered fingers and hands turned into fish, seals, whales, and other sea mammals. These creatures are all very important to the Inuit way of life, and hunters thank Sedna for their continued food supply. Pashupati, "Lord of cattle", is an epithet of the Hindu deity Shiva. In Vedic times it was used as an epithet of Rudra. The Rigveda has the related pashupa "protector of cattle" as a name of Pushan. The Pashupatinath Temple is the most important Hindu shrine for all Hindus in Nepal and also for many Hindus in India and rest of the world. 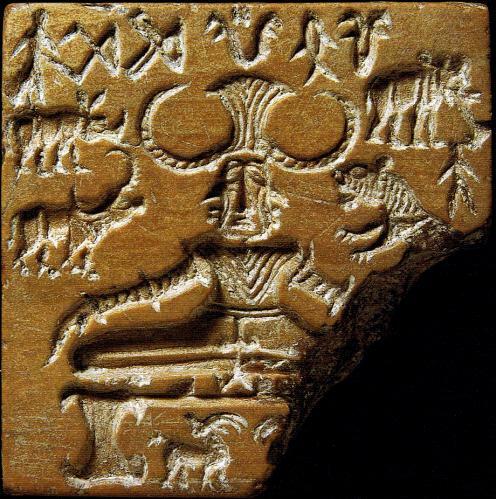 The name has also been applied to a figure, probably a deity, depicted as sitting among animals, on a seal discovered in the context of the Indus Valley Civilization. 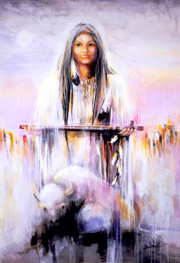 WHITE BUFFALO WOMAN is the Lakota Goddess of secret knowledge. Also called PTESAN-WI, which translates as "WHITE BUFFALO CALF WOMAN", she appeared one day to two hunters. She was dressed all in white and carried a small bundle on her back. One of the men was overcome with lust for her, but the second man recognized that this was no ordinary woman. The first man approached White Buffalo Woman, intending to embrace her, and she smiled at him. No sooner had he reached her than a white cloud of mist surrounded them. When the mist cleared away, nothing was left of the man but his bones. White Buffalo Woman explained to his companion that she only given him what he had desired, and in that moment he had lived a lifetime, died, and decayed. The second hunter was sent back to his village to prepare the way for White Buffalo Woman. She told the people that she had come from Heaven in order to teach them the seven sacred rituals-the sweat lodge, the naming ceremony, the healing ceremony, the adoption ceremony, the marriage ceremony, the vision quest, and the sundance ceremony. From the bundle on her back, she gave the people all the tools they would need for the rituals, including the chununpa, the sacred pipe. She taught of the connection of all life, and the importance of honoring Mother Earth. White Buffalo Woman told the people that she would return to them when needed, to restore their spirituality and harmony with the land. As she walked away from the village, she looked back and sat down. When she stood again, she had become a black buffalo, signifying the direction west and the element earth. After walking a little further, she lay down again, this time rising as a yellow buffalo, signifying east and the sun. A third time, she walked, lay down, and arose as a red buffalo, signifying south and water. Finally, she rose as a white buffalo, signifying north and air. With one last look back at the people, she galloped off and disappeared. Perun is the highest god of the pantheon and the god of thunder and lightning. His other attributes were the fire, mountains, the oak, iris, eagle, firmament (in Indo-European languages this was joined with the notion of the sky of stone), horses and carts, weapons and war. He was first associated with weapons made of stone and later with those of metal. Like Germanic Thor, Perun is described as a rugged man with a copper beard. He rides in a chariot pulled by a goat buck and carries a mighty axe, or sometimes a hammer. The axe is hurled at evil people and spirits and will always return to his hand. Perun is a son of Svarog. The thunder-god of the ancient Slavs, a fructifier, purifier, and overseer of right and order. He is described as a rugged man with a copper beard. He rides in a chariot pulled by a he-goat and carries a mighty axe, or arrows, sometimes a hammer. This axe is hurled at evil people and spirits and will always return to his hand. His lighting bolts were believed to pass through the earth to a certain depth and return gradually to the surface in a specific period of time – usually 7 yr. 40 days. In Slavic mythology, the world was represented by a sacred… tree, usually an oak, whose branches and trunk represented the living world of heavens and mortals, whilst its roots represented the underworld, i.e. the realm of dead. Perun was a ruler of the living world, sky and earth, and was often symbolised by an eagle sitting on the top of the tallest branch of the tree, from which he kept watch over the entire world. Deep down in the roots of the tree was the place of his enemy, symbolised by a serpent or a dragon: this was Veles, watery god of the underworld, who continually provoked Perun by stealing his cattle, children or wife. Perun pursued Veles around the earth, attacking him with his lightning bolts from the sky. Veles fled from him by transforming himself into various animals, or hiding behind trees, houses or people; wherever a lightning bolt struck, it was believed, this was because Veles hid from Perun under or behind that particular place. In the end, Perun managed to kill Veles, or to chase him back down into his watery underworld.The supreme god thus reestablished the order in the world which had been disrupted by his chaotic enemy. He then returned to the top of the World tree and proudly inform his opponent down in the roots! (”Well, there is your place, stay there!”). This line came from a Belarusian folk tale of great antiquity. To the Slavs, the mythological symbolism of a supreme heavenly god who battles with his under worldly enemy through storms and thunder was extremely significant, and from Perun and Veles, this idea of cosmic battle was passed onto God and the Devil following Christianization. People, rocks and trees struck by lightening are considered to be sacred for the heavenly fire remains inside them. All big trees were sacred to Perun, but he especially loved the oak. There are records of oaks being fenced in as sacred to him. Sacrifices to him usually consisted of a rooster, but on special occasions, bear, bull or he-goat might be killed. The sacrificed animal was then communally eaten as they were seen to be imbued with the power of their patron God. Eating the god’s animal to absorb the god’s essence is similar to and predates the ritual of Holy Communion. Perun’s arch enemy was the zaltys, a great serpent curled at the base of the world tree. Somehow, this also put him on Volos’ blacklist and worship of these two gods had to be kept separate. Temples to Perun tended to be octagonal and on high ground. An idol of him set outside the castle of Vladmir was said to have a silver head and gold moustache – in some accounts, gold mouth. When Vladmir tore down the idol, it was tied to a horse’s tail and dragged to the Dnieper. Amid much weeping it was then tossed in as men with poles made sure that he was not washed ashore or pulled out. It eventually floated down river and was blown onto a sandbank still known as Perun’s bank. 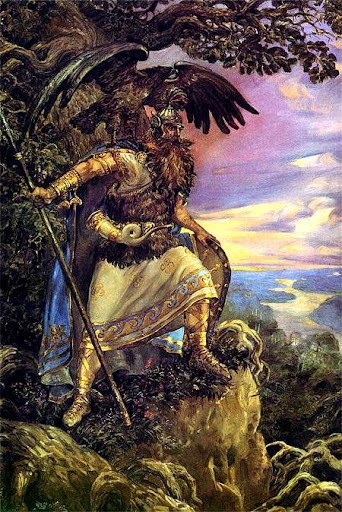 Perun’s holy day is Thursday, his feast day is the 20th of July. His actions are perceived by the senses: seen in the thunderbolt, heard in the rattle of stones or the bellow of the bull or the bleat of the he-goat (thunder), and felt in the touch of an ax blade. Kaus was the national god of the Edomites. He was also known as Qaush, Kaush, Qaus, Qos and Kos. 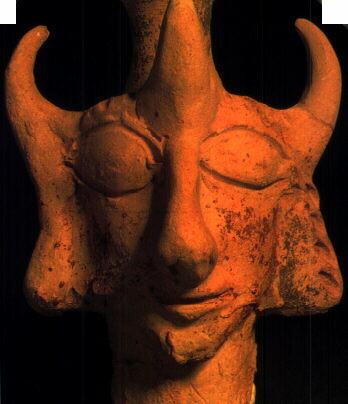 He was probably a mountain god and may be connected with the Nabataean deity Dusharres. The name of the deity was used as the theophoric element in the names of the Edomite kings Kaus-gabri and Kaus-malaka. 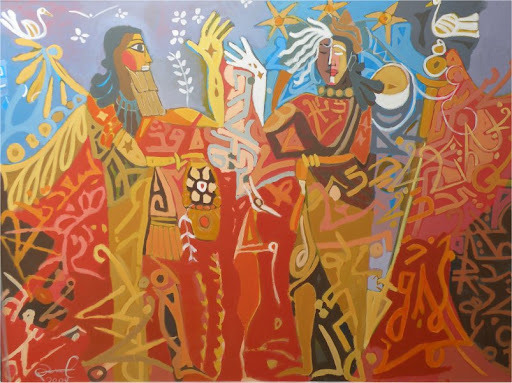 Ishtar has a prominent role in the Epic of Gilgamesh. After Gilgamesh and his friend Enkidu have killed the demon Humbaba, Ishtar appears to Gilgamesh and asks him to be her husband. Gilgamesh rejects Ishtar’s offer, citing her mistreatment of her former lovers and wondering why he would be any different. In fury, Ishtar asks her father Anu, God of Heaven, to unleash the Bull of Heaven so that it could attack Gilgamesh and avenge her. Anu hesitates, but when Ishtar threatens to raise all the dead from the underworld, he gives in. The Bull is set loose, and after a ferocious battle, Gilgamesh and Enkidu manage to slay it. Ishtar stands on the walls of the city and wails, which prompts Enkidu to throw the bull’s leg at her, threatening to do the same to her if she comes any closer. This is too much for the Gods, who were already upset with Gilgamesh and Enkidu for killing Humbaba. They decide that Enkidu must die, and Gilgamesh learns what it means to reject Ishtar’s advances. Enkidu’s hostility towards Ishtar has another root. Earlier in the Epic, Enkidu, who is originally a wild man, is “civilized” by a temple prostitute. These prostitutes, called ishtaritu, inhabited the temples of Ishtar, offering themselves to any male worshipper who paid the required contribution. In fact, every Babylonian woman was expected to go to a temple and perform the rite with a stranger at least once in her life. Like Inanna, Ishtar was known as the Goddess of prostitutes, and her alternate names of Har and Hora gave rise to the terms “harlot” and “whore”. The Goddess Ishtar, in her youth, loved Tammuz, God of the harvest. He returned her love, but he was killed by a boar. Ishtar was devastated by his heath. When Tammuz died, all vegetation died. The animals would no longer mate, and humans were no longer active sexually, and the Earth, herself, was dying. Ishtar knew that Tammuz was in the Underworld which was ruled by her sister Erishkigal. To reach Erishkigal, Ishtar had to pass the seven gates of the Underworld and at each gate surrender some of her jewelry or a garment until finally she stood before her sister naked, unadorned and completely vulnerable. Ishtar laments: "Tammuz is dead!" Ishtar looks up at Sin, the Moon God and asks: "Sin, my father, what shall we do? Without my love Tammuz, the Earth's womb is sterile. The fields well bear no crops and my creatures will bear no young. Help me father!" Sin replies: What can I do, sister? I am the Moon who lights up the night. I can bring rest, but not fruitfulness; visions, but not deeds; understanding, but not action. Such things belong to Earth. What can I do?" Ishtar turns to Shamash, and pleads: "Shamash, my brother, what shall I do?" Shamash replies: "What can I do sister? I am the sun who lights up the day, shining upon your Earth to bring it heat. I can call forth your crops once they are sown...and warm your young once they are born; but I cannot sow the grain, or fertilize the womb. Such things belong to Earth. What can I do?" Ishtar appeals finally to Ea: "Ea, my brother, help me! You are wisdom, you are magic, you are the air which my creatures breathe. Help me!" Ea does not reply for a moment; then he stands up, as Sin and Shamash also do when he commands them. "Be upstanding, my brothers. Despair and resignation will not help our sister, nor bring Tammuz to life. 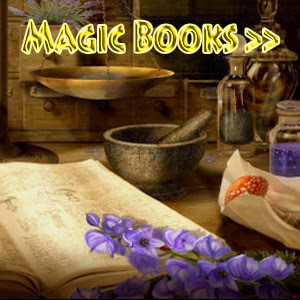 What is wisdom and what is magic? Wisdom is knowledge of the laws of the universe, which are greater than each of us alone. And magic is the courage to call upon them. So let us call! It is a low of being, that death follows life, and rebirth follows death. Tammuz may seem to die, but his rebirth must follow as the great wheel turns. We call upon the laws of being – we clal upon the wheel of rebirth!" Sin and Shamash also threw up their arms. Ishtar takes Tammuz's hand and all three take up the cry: "We call upon the wheel of rebirth!" Tammuz opens his eyes and sits up. Ishtar stands and pull him to his feet, saying: "Great Tammuz is reborn, the fruits of the Earth are ours once more. Bring them forth, let us enjoy them!"